OR in Google maps Kerastari. 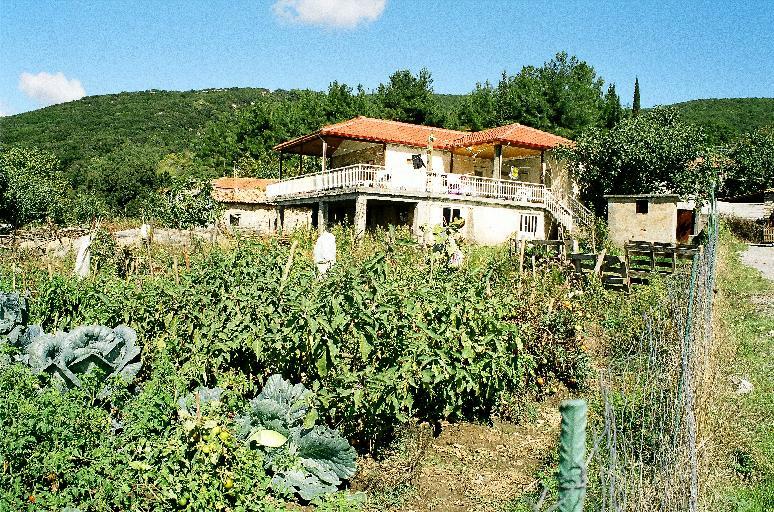 It is about 200 kms SW of Athens, near the provincial town of Tripolis), the main town (approx 30,000 people) in the ancient region of Arcadia. 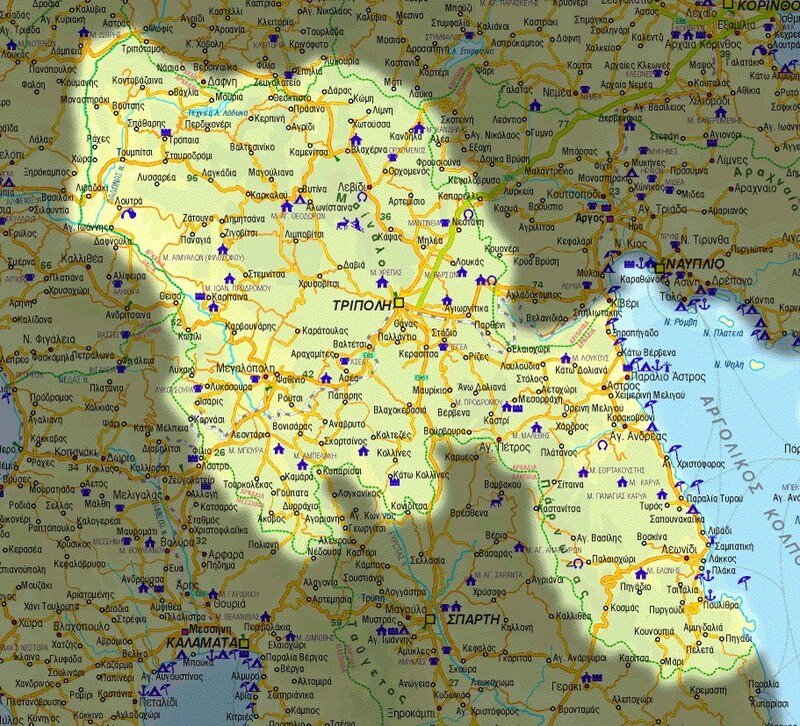 On a map the village is 4 km north of the main road connecting Tripolis and Megalopolis and the turnoff is at a distance of ~20km from Tripolis and ~10km from Megalopolis. It is near (about 5 kms) the freeway exit at Asea. N.B. : The last section of the freeway was completed in late 2011 and it may NOT appear in older maps. On Google Earth the village is at coordinates of 22d14m15.5s East longitude and 37d25m12s North latitude. It is at an elevation of about 750 m above sea level. The sea is about 60 kms by road, almost in any direction. Travel time can vary from 0.5-2 hours, depending on the direction. The population of the village has been greatly reduced due to the post-war migration to the bigger towns within Greece or to foreign countries like America, Canada and Australia. The current population is only around 50 people and many of the houses are empty and are used only as holiday homes. The village is nestled at the base of a forested mountain (mainly oaks) and it is quite picturesque. In recent times, many of the village fields have not been cultivated and the whole area is rapidly becoming a forest. Despite a large fire in 2007 which destroyed much vegetation, the village is again very verdant. There are a number of old churches and even the ruins of an old temple of Poseidon on the top of the nearby mountain. There is an easy path to walk there if people are interested. The workshop venue is the Kerastari Community Hall. It can accommodate functions for up to 80 people and workshop participation will be limited to this number. Pre-registration is strongly encouraged. 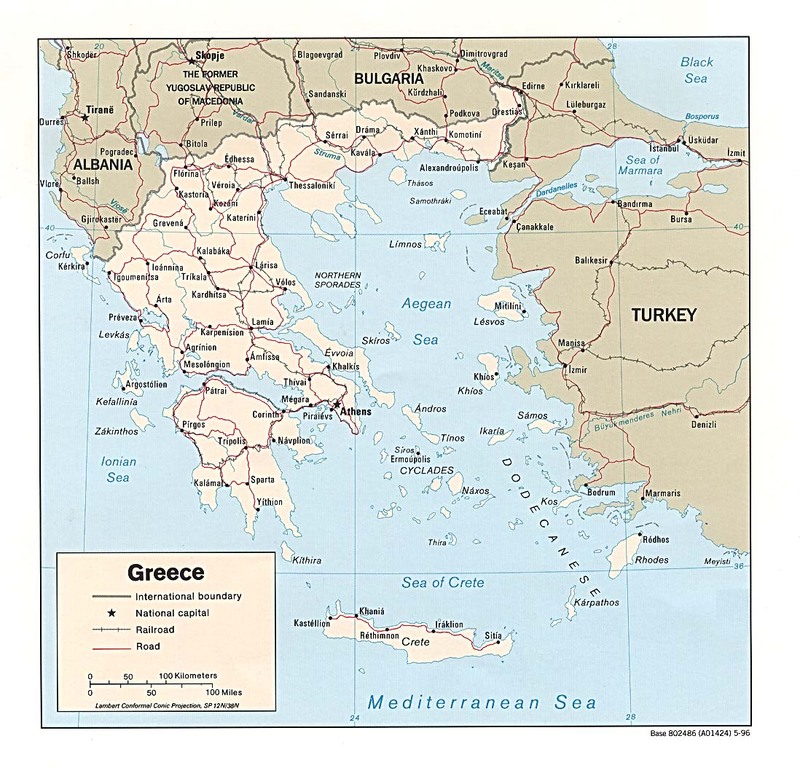 Various maps of Greece can be found on many places on the Web. Of course, the most details are available on Google Earth (see Kerastari) or type Kerastaris in the Google Earth search box. Alternatively, use Google maps and type Kerastaris in the search box or directly via the link Kerastari. Below are some old-fashioned maps from various sources, which may be of intrest. 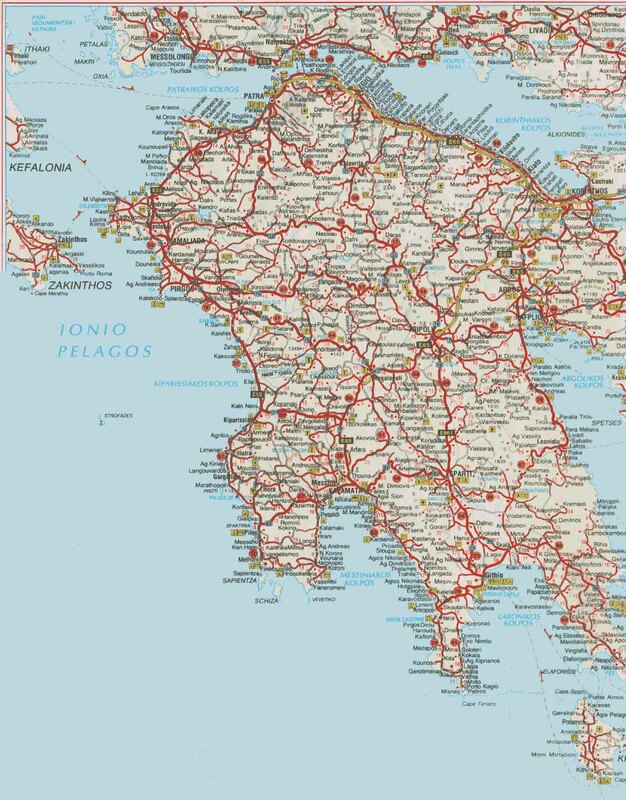 Zoomed maps of Greece - Kerastari from the old Mapblast! database. Map of Arcadia, courtesy of John Seiradakis. Map of Tripolis or just the centre of town. Some photos of the village and the workshop venue were taken in the period 2002-2007 and collections are posted below (in small and large formats). Some landscapes are in winter and the village will be much greener in early June.